Tampa Bay Buccaneers cornerback C.J. Wilsoninjured his hand during a fireworks accident last weekend reportedly in an accident in North Carolina, agent Joel Turner confirmed to ESPN. Turner declined to discuss specifics of the injury and referred all further questions about Wilson's situation to the Buccaneers, but a team source told ESPN NFL Insider Ed Werder that the injury was "significant." According to the Lincoln Times-News, the former Lincolnton High School football standout lost two fingers in the accident. The Tampa Tribune had earlier reported on Wilson's injury. Wilson, 25, is the second NFL player to suffer injuries during a fireworks accident over the Fourth of July weekend. Giants defensive end Jason Pierre-Paul suffered hand injuries during a fireworks accident in Florida last weekend and remains in the hospital. 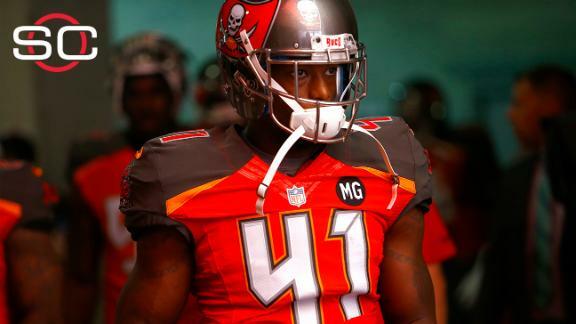 ESPN NFL Insider Adam Caplan discusses the fireworks accident that injured Buccaneers cornerback C.J. Wilson.